In April 2011, I commented on the creation of HM Courts and Tribunals Service – the single executive agency responsible for running both courts and tribunals. judicial diversity; and access to tribunals. Judicial diversity: One of the arguments made in favour of merging courts and tribunals was that the merger would make it easier for those appointed to chair tribunals also to as judges in the courts. This idea is being actively developed in the context of thinking about ways of increasing judicial diversity – i.e. ensuring that the judiciary is better balanced in terms of the numbers of women judges and judges from ethnic minority groups. This is an issue that the Judicial Appointments Commission has been grappling with for some time. 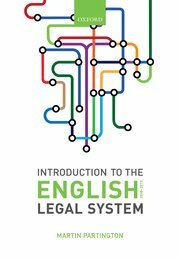 It is now clear that judicial leaders and others engaged in the judicial appointments process are coming to see how the merger of courts and tribunals can enable new thinking to develop about judicial careers – with people gaining judicial experience in a variety of judicial contexts, both tribunals and courts. Access to tribunals: One feature of the current system of tribunals is that, for the most part, access to them is free to users. The merger of Courts and Tribunals, combined with the economic challenges facing the current government has caused officials to start a process of identifying those tribunals which should charge fees and what those fees should be. The recent update on the delivery of the MoJ Business Plan indicates that this work should be completed by the end of 2011. If changes on the lines contemplated are introduced this will do much to change the accessibility of members of the public to tribunals. While it is not possible to prejudge the outcome of this review at this stage, it is worth noting that many of those concerned with the future development of administrative justice view these potential developments with considerable alarm. For example, in responding to a Ministry of Justice consultation on introducing fee charges for appeals in the Immigration and Asylum Chambers of the First-tier Tribunal and the Upper Tribunal, the Administrative Justice and Tribunals Council argued against the introduction of fees in individual vs state jurisdictions as such charges fall on individuals who already face a massive inequality of arms in challenging state decisions. From this perspective a compelling argument would need to be made in favour of the imposition of fees to persuade the Council that fees should be introduced. The consultation paper contained no such argument. The Council is not opposed in principle to the charging of a fee for the underlying public service of providing and administering the system of immigration visas. However the AJTC remains concerned about any proposal that treats tribunals as if they were providing a chargeable public service like any other. They are not. It has been well established for more than half a century that tribunals are necessary to provide an independent mechanism by which individuals can seek redress for alleged mistakes by government departments and other public bodies. Individuals should not have to pay a second time to challenge mistakes in a situation where the state is alleged to have been at fault. Most unfair of all is the suggestion that appellants will not receive a refund of appeal fees even if the Home Office withdraws its case or the appellant wins his or her case. Collectively, these proposals appear to place administrative ease and income generation above basic principles of fairness and justice which in the Council’s opinion is unacceptable.